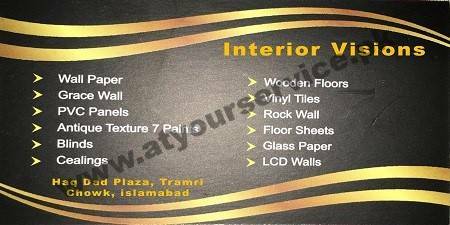 Interior Visions is located in Haq Dad Plaza, Tramri Chowk, Islamabad. Better and long lasting work with best quality is ensured by our team. Visit us or call to plan your dream interior decoration. We also receive online inquiries through this page. All inquiries will be responded earliest.